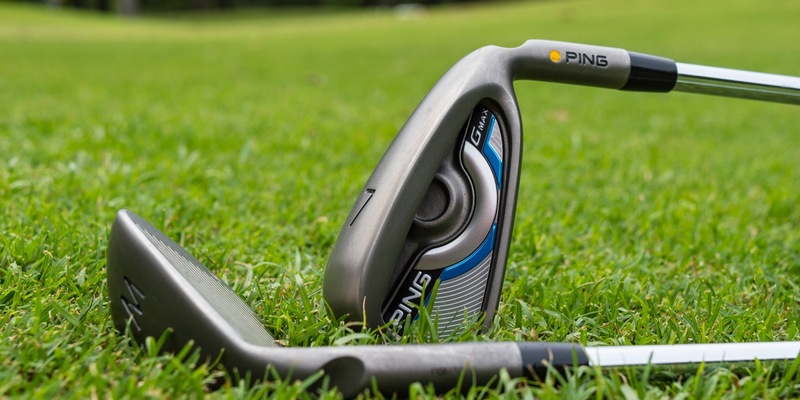 2017 Most Wanted Super Game-Improvement Irons: The Full Results are In! What characteristics define the best performing super game-improvement iron? Is it distance? Accuracy? Control? A little added forgiveness? We’ve found that it’s a combination of all of the above, and the best way to summarize that is through a system based on Mark Broadie’s Strokes Gained Methodology. To that end, we’ve changed things up a bit since our Most Wanted Players Iron test. We still leveraged our testing facility in Virginia to deliver the most comprehensive, unbiased Super Game-Improvement Iron Test in the world, but we’ve improved our metrics. If you’re in the market for new irons in 2017, this is for you. To determine this year’s rankings, we applied Strokes Gained methodology to long, middle, and short irons. We’ve provided the Strokes Gained values for each iron in our table below. As we have in the past, we have also provided standard launch monitor metrics, along with our Radial Distance and Shot Area calculations. Six of the top super game-improvement irons were put to the test; the clubs tested are designed purely for distance and forgiveness. The target handicap for this iron category starts at the mid-high single digits and goes up from there. The target demographic for these clubs is the golfer who’s looking for a little extra help. For some, that means helping regain some distance lost over the years. For others, it means a bit of added forgiveness on mishits. For others, it’s helping to shoot lower scores and enjoying the game a bit more. Our rankings aren’t determined inside a conference room. We don’t have a panel, and there are no votes. The launch monitor is the one and only judge. For our 2017 Most Wanted Super Game-Improvement Iron test, we collected a standard set of launch monitor metrics (ball speed, launch angle, spin rates, distance, etc.). Below you’ll find the data from our 2017 Most Wanted Super Game-Improvement Iron Test. Note that you can use the Iron Model filter to limit the display to specific models. 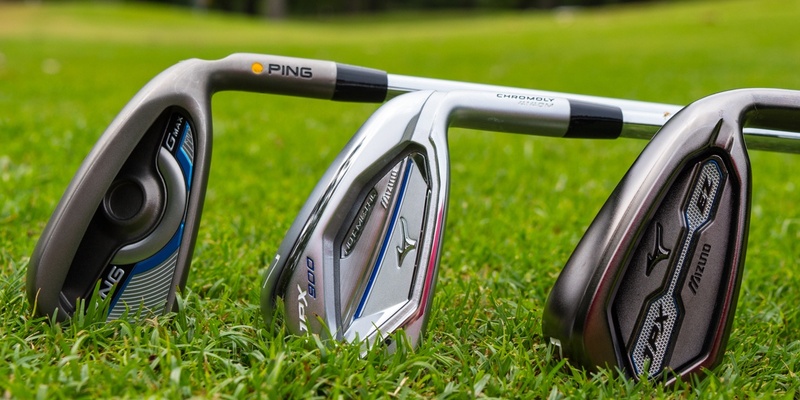 By default, we show the comparative metrics for long irons. To see middle and short irons, use the Iron Type drop down located on the top right of the charts. Let’s not forget the DST Compressors! I owe a lot to those guys! Don’t forget Cleveland Launcher HB irons for 2018 testing if they enter the testing. Sleeper of the rest of this year and also 2018 IMHO. Thanks for the truthful testing and results each year. I know it helps me to select which clubs to compare and saves me money which is nice when your on Social Security. I have missed this site so much as I forgot about it sorry.the price they are charging for clubs is way over the top. And I am one of the worst offenders for buying in to the hype. As I just bought new clubs after thinking you can buy a golf game. You can’t. Keep up the good work thanks. What/who determines the difference between “game improvement” and “super game improvement”? I ask the question because it’s my perception that there are some sets in the “game improvement” category that seem like they should be in the “super game improvement” category and visa versa. For example, do the Steelhead XR’s not fit in the “super game improvement” category because Callaway also produces the GBB OS irons? 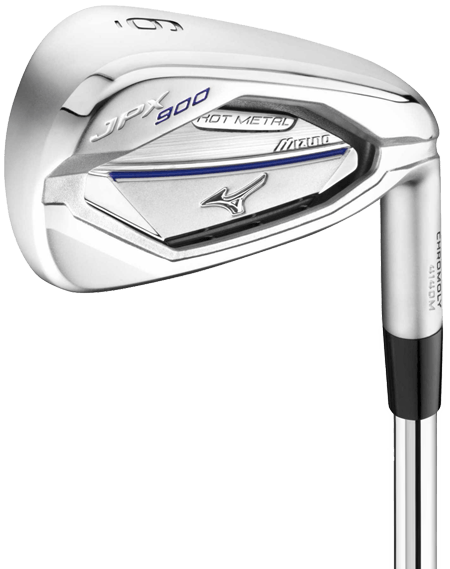 I ask this question mostly because the Mizuno JPX 900 Hot Metals don’t seem like they belong in this category. Yes “game improvement”, but not “super game improvement”. Again what/who determines the delineation? Thanks for all your hard work on these tests!!! Have played the GMax for the last year and thought they were a great improvement over my old set, nice to see your numbers verify that feeling! Please explain why the Air Force Ones ranked 1st, 6th & 1st yet only drew 4th Place. Long irons, AFX was .01 SGs ahead of the #2 finisher (tiny margin). Short irons, AFX was .03 SGs ahead of the #2 finisher (tiny margin). Middle irons, AFX was .15 SGs behind the #1 finisher (big margin). While our top finishers had SGs scores that weren’t far off the best at all iron lengths, the AFX’s 7-iron performance was comparably poor, which caused a significant drop in the rankings. 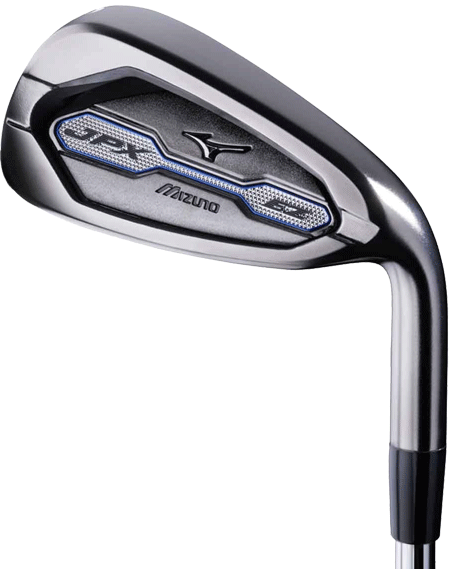 Clinton Gauld mizuno’s are styling, but what about the other manufacturers, they must also have super game improvement irons? i.e. Callaway, TaylorMade etc…. Thank you for another interesting comparison test. It provides a great baseline of data from which one can proceed. I appreciate your efforts. Far and away the best club tests in the industry. Thanks! Thanks Toad! We appreciate you stopping by and the feedback as well. Again I ask, which specific number iron and degrees of loft ? Since it’s all relative, does it really matter? In anywise, virtually all of these sets come in a 4i-GW set so, assume 4i for long, GW for short and 7i for your middle distance. The lofts vary by manufacturer. Exactly my point. An allowance of +/- 2 degrees could mean one is a 7 and another is a 6. Would be nice to know the specs of the ones used. Love most your albums.. saw you first in ’85 open for the Scorpions! It might be covered in the workings to f strokes gained method already but you seem to simply adding the strokes gained for each club length to get an overal result. Is there an argument that there should be different weighting so applied to each that reflect the frequency each club type is used per round – might that get a different result? If not for SGI maybe for the other comparisons. In any case thank you so much all the effort to enable the consumer to make datacratic decisions on the merits of different clubs – to see through all the marketing hype whether drivers, hybrids or irons. I see what you’re saying. I have no affiliation to this site or article. Just wanted to point out that the comment you are making IS what strokes gained is meant account for. How much better is your putting than player “x” with his putter, where player “x” is the average of all the players in your comparioson. It looks like to make the data and comparison just a little more palatable and easier to put together, the data for similar irons and clubs were aggregated. So is your 7, 8, 9, P better than the average. Sorry the Cobra King OS were not included in the test…. Have a set and totally love them! I know everyone is different, but.. in my own very UN-scientific testing – ie. in-store demos but also an irons fitting – where I was just going by feel and .. simulated .. ball flight, the Cobras came out on top .. again, for me. 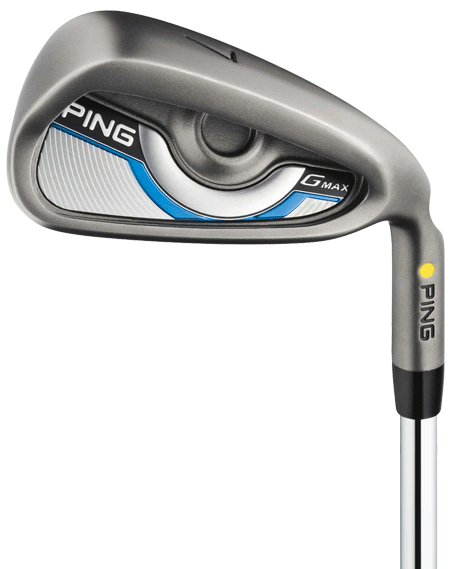 Tried the Ping G Max – to me, they felt dead. Did seem to help straighten out mis-hit shots, though. But I would not have enjoyed gaming them. Also tried the JPX-EZ and the Hot Metal, amongst others in the category. Anyway, MGS provided another great guide and if anyone reads this my recommendation is to go test, test and re-test until you find the one that works for you! I want to start of by saying that I appreciate the testing and information, and agree with what you are trying to accomplish. I have a few questions/comments. The first being with regards to data, and I think it is an important one. Do you use an alpha-coefficient to determine statistical significance of your data? When making determination of ranks based on numbers, especially that are less than 1, it is vital to determine if those differences are statistically significant, meaning that they are not due to chance. If this is done, great, and please ignore me. With regards to the ball, I know the point is to reduce variables, but aren’t some of those variables important when determining this data. 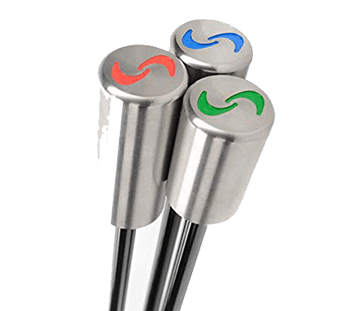 One ball with one club will perform differently for people that have different swing speeds and different attack angles, etc. I just find it interesting that you use the same ball for all of your testing, and that ball comes from a company in which their number one focus is proper ball fitting. My last thought is just an idea for further testing. I think it would be interesting to take the top-3 Most Wanted clubs from the past several years and test them all against each other again. I know you have tested new clubs against 15 year old ones, but what about the Most Wanted of the Most Wanted? Great idea to test previous “best” clubs compared to current “best” clubs. Love to see the results. Dan – For nearly every test we conduct we look at confidence intervals and p-values. We’ve talked about different ways to present that to the reader. It’s challenging because the average guy doesn’t want to get that deep into the weeds. One of the things we’ve talked about is displaying results as a group. For example, with our putter tests, our top 5 contained the putters that showed no statistical difference from our top finisher. However, from position 1 to 6 we observed a reliable difference to most of the remaining field and then a big difference with 1 compared to the bottom few. Regarding the ball, as you point out, the important thing is having a constant. While different balls will perform better for certain golfers, we don’t believe that the performance relationship between clubs would be impacted. We chose the B330-RX because it’s the best-selling ball in the B’stone lineup. Very interesting. Using the strokes gained metric shows that there isn’t a lot of difference between the top and the bottom. Which shows me that you have to hit them to really decide which brand “feels” better to you. I hit 5 of the 6 listed here and wound up with another choice. A GI iron instead of the SGI. One MINOR criticism. I know it takes a lot of time to do these comparisons but it would be nice if they came out earlier in the year. I bought new irons back in April. I hear what you’re saying and totally understand the point. 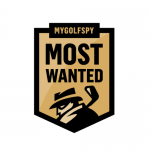 I will just say, I believe last years most wanted was only driver and maybe one other category, could be wrong. I seem to recall readers asking for more categories to be included and this year MGS vowed to cover every category in the bag,. Without a staff of hundreds and to do ti correctly I know this takes an inordinate amount of time. I’m sure the ownership and staff will evaluate this years testing and see how it can be made better in 2018. Although I have to say this year it’s been pretty damn good and extensive!! We’re looking at ways to speed up testing, but there are limitations. Any given test takes about a calendar month to complete. Sometimes we can run tests in parallel, sometimes we’re 8+ hours a day on a single test. Having invested a tremendous amount of effort to learn *how* to test the right way, I must admit to chuckling when I see so-called comprehensive tests conducted over the span of 24-48 hours, or every club in the bag tested over the course of a week. It simply can’t be done thoroughly within that time frame. As resource allow we will expand resources to do more parallel testing, but there will always be constraints time constraints related to how we test. 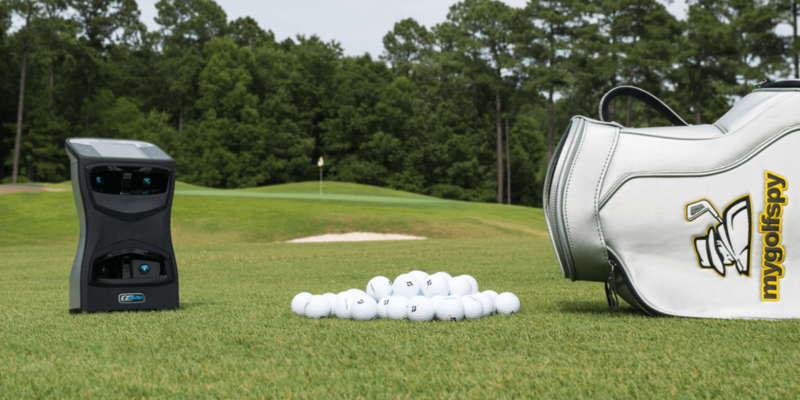 So long as companies like TaylorMade, Titleist, and to a lesser extent Callaway decline to submit clubs for testing, we’ll be bound to release schedules. By way of context, Golf Digest can publish the Hot List in late January/early February because OEMs provide them product well in advance of release – in some cases the products aren’t even finalized. Our reality is that in some cases, we have to wait for retail availability, which means we can’t start some tests until mid-February or later. The other issue is one that doesn’t have a clear solution. The cadence of the industry is changing. Instead of January for everything, many companies are shifting to a year-round release model. That makes the timing of tests very difficult. We missed Epic irons, the entire G400 lineup, and a few other things simply because they didn’t exist at the time of testing. The G400 will be 7-8 months into its life span before we can put it in a large test. Longer still for Epic irons. That’s just the industry changing, and I’m not sure what the solution is. Wow, very interesting. I expected to see Ping up there but the Mizunos are a surprise. Just wondering why no Taylormade or epic or srixon irons in this test? Maybe because they don’t fall into the super game improvement category? We actually checked with TaylorMade prior to this test. They classify M2 as GI rather than SGI, so that’s where we tested it. As far as Epic goes, it wasn’t available at the time testing began. See my previous comment regarding how the cadence of the industry is changing. As release schedules become more spread out, it becomes more difficult to include all the new stuff in an early season test.